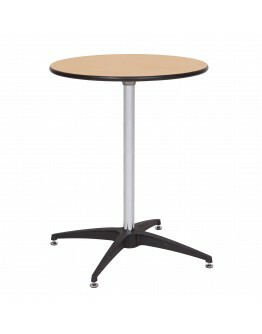 These are pedestal style tables with upright posts (not with folding legs). 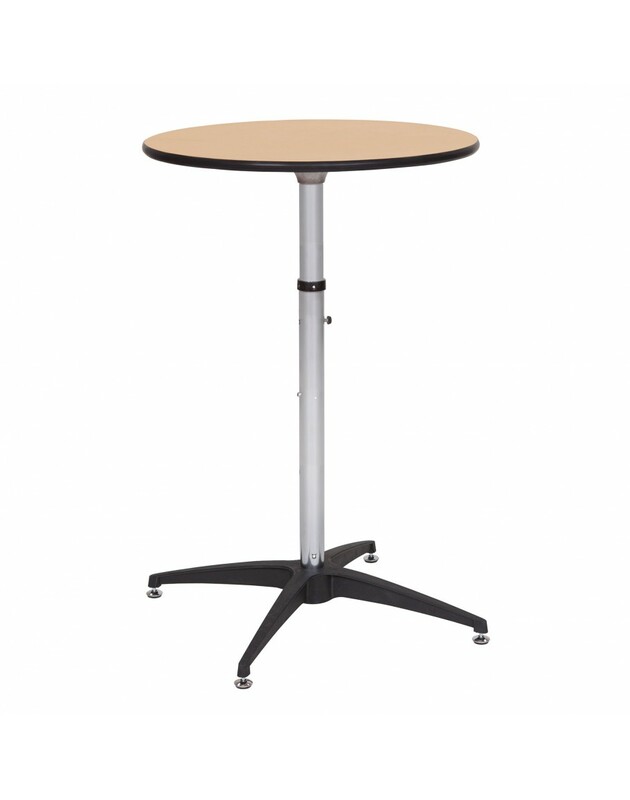 The adjustable height post can be set at any of (3) heights. Dining height is 30 inches. Stand-up cocktail party height is 42 inches. No tools are needed to put these tables together. You just insert the post into the base, and then cap it with the table top. Now you are ready to party! 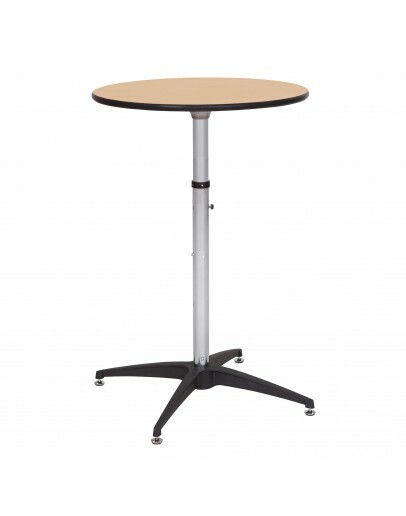 QUICK OVERVIEW* Pedestal Style Table, with Base, Post, and Top* Perfect for Stand Up Cocktail Partie..